Diamond Peak Cattle is one of the largest ranching operations in Colorado, family-operated since 1924 and now proudly ran by John Raftopoulos and his sons George and Angelo. The Diamond Peak Cattle Company (DPCC) breeding program is designed around fundamentally sound genetic principles where the cattle must perform in the harsh western high-altitude environment. With the use of large numbers and with diligent culling it allows us to provide a high quality, functional product. Raftopoulos Ranches now known as Diamond Peak Cattle Company was established back in 1924 and got its humble start with a milk cow left behind by one of the ranch hands. 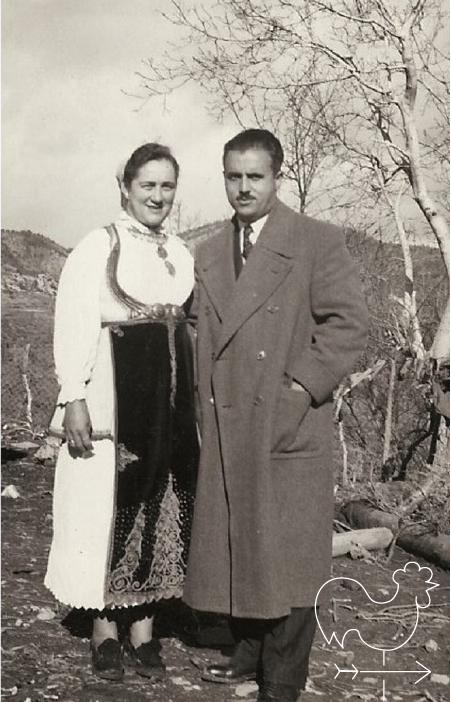 Georgia and George Raftopoulos, immigrated to the U.S. from a small mountain village, Kaloscopie, Greece in the early 1920s. They began a sheep operation, but kept a 15-head cattle herd around mainly to eat some of the slew grass hay that the sheep would not eat. John and his two sons George and Angelo own and operate Diamond Peak Cattle Company, an operation that encompasses some 55,000 acres of deeded land and another 250,000 to 300,000 acres of BLM and state and private leases, making the ranch one of the larger holders of grazing rights on public lands.